are ready to work with you at ONE EMPLOYEE COST. Megabytes is the ultimate choice as a technology partner for companies that what to transform and lead in the most challenging business environment. Our clients are able to achieve new thresholds through our comprehensive range of software services and solutions. Not only does it conclude with innovation, but we also focus on creating long-lasting relationships with our clients and continually enhance our domain expertise so that we remain the best choice for prospective clients. Megabytes make customized Salesforce CRM, Salesforce consulting solutions and cloud computing solutions for companies and organizations of all sizes. As a registered and certified consulting company for CRM, we are committed to helping you optimize the effectiveness of your business applications. Our Force.com application development experts can automate your enterprise’s unique processes in ways that leverage the power of the Force.com platform. These teams establish clear metrics to demonstrate measurable ROI tied to core customer goals. 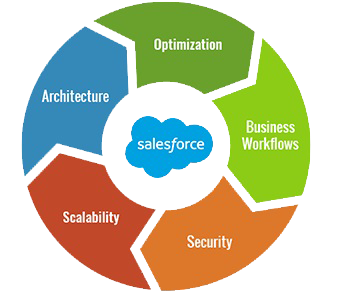 We are attentive in Salesforce Consulting Services Like implementation, development, app developement, administration, salesforce lightning services and customization too. We are an Experienced,Qualified and Dedicated team focused on delivering real solutions for you in real time with our 24 hrs online support. Understanding your business and technology needs. Evaluating the key needs and necessities ( or maybe use deliverables instead of necessities) to arrive at a comprehensive architecture plan and design. Offering the finest solutions that will help in resolving your distinctive requirements. Are you looking for some Salesforce alternatives but not sure of the options? To choose the right Salesforce solutions software suitable for you, first you must understand the CRM that is best for you. As your Salesforce consulting company, our experts will assist you in deciding the best license option as per the range and demands of your business. Once we collect and evaluate your requirements we will then be better equipped to provide costing for the project on hand. Megabytes Salesforce consulting team is a team of highly qualified professionals who are extremely passionate about bringing ground-breaking innovation to small, medium, and even large organizations. Salesforce consulting is one of our major focus areas. Salesforce is a pioneering platform which has allowed companies to envision their close associations with customers from a whole new perspective through all channels at every touch point. Megabytes deliver full-cycle Salesforce consulting services which will assist you in holding the world’s foremost CRM platform in its entirety with all its advantages for your business. Our experts have worked with a wide variety of industries, and have delivered accurate solutions to improve sales and customer engagement in those industries. These include industries such as Healthcare, Manufacturing, Banking, Public Sector, etc. We have offered our Salesforce customized CRM services to clients across the globe which has added value and innovation in their various fields, been able to swiftly react to market changes, and have instituted Salesforce as a solution which assists them in interacting with consumers and also helping in staying ahead of the competition. Enterprise Edition boosts the Salesforce platform to an extremely high level of efficiency, now introducing Products, Price Books, Forecasting, and automation of events through Workflow. If you’ve made the investment in your business by adopting this Salesforce license, you gain a huge host of new features to provide maximum efficiency to your team.